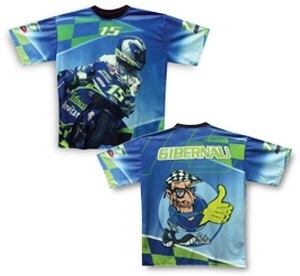 Sete Gibernau Shirt - Rider Design. Very colourful Nylon football shirt. The print shows Sete on his bike. The back of the shirt features Sete's "thumbs up" logo. This is of course official Sete Gibernau merchandise.